We know that you’re probably having a rough Monday. It might not be a terrible one, but it’s always hard to cope with going back to your routines after the weekend. Therefore we’ve got a treat for you which you might or might not enjoy. Feral Trash is an American band that combines rock’n’roll and melodious dark punk into a nice whirlwind of emotional statements. Whether they do it with their copious riffs or the drumming, with their lyrics or their vocals – doesn’t matter. Their wholeheartedness could be heard in their first release “Dead Eyes“, which came out in 2013. Being stationary at Dirt Cult Records gave them a possibility to release something new a year later. The label originally started out in 2006 by the hands of Chris Mason and his friend Dillon – but he left shortly afterwards and since then the operations have been managed by Chris. So mainly, the label utilizes itself within the confinements of punk – meaning everything from post-punk, rock’n’roll, melodic punk, “regular” punk – and other genres which can be knitted to “punk“. 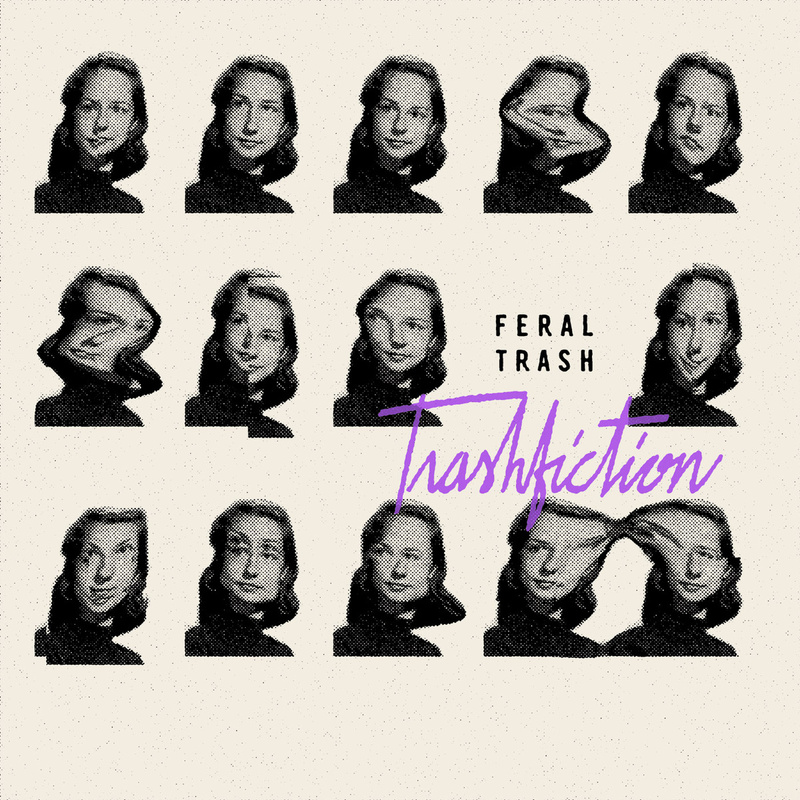 Now, a year later Feral Trash are going to be releasing their debut-album “Trashfiction” with the help of DIrt Cult Records. The frontman Eric Neurotic, whom also can be heard in the band Fear Of Lipstick, is involved in labels who are alike to what his band is releasing an album on – namely It’s Alive Records and P. Trash Records. Everything comes around now and then – full circle. Which is just good because that prooves his interest and passion for those genres. Anyway, “Trashfiction” will be released on the 26th of October. Repartiseraren is collaborating with Dirt Cult Records for the first time, giving you the opportunity to exclusively stream the tenth song from their debut-album, titled “No Avail“. Listen to it down below and if you’re interested, see to it that you buy the physical vinyl. The vinyl is limited to 300 copies, whereas 100 are on color vinyl.